Don’t forget to redeem last month’s PS Plus free games before they get replaced with next month’s games! Heavy Rain, Absolver, Zero Escape, and more will be disappearing from the Instant Games Collection once the PlayStation store rolls over tomorrow morning. Sony has announced that the free PlayStation Plus free games for August 2018 will include the open-world period piece, Mafia III, and asymmetrical horror multiplayer game Dead by Daylight, which pits a group of survivors against a deranged killer. The current games will go away on August 7, so players have less than a day to redeem games like Heavy Rain, Absolver, Zero Escape, and more. For August, In addition to the regular six games this month (two for each platform), Sony is offering two bonuses. Here They Lie is being added as a PSVR exclusive Plus free title through October 2, bringing back the two-month long free PSVR games that Sony had been previously offering to subscribers. Even if you don’t plan on playing July’s titles, you might as well redeem them on your Plus account. Once a title is redeemed, you can download and play it at any time as long as you have an active PlayStation Plus subscription. What do you think of the August 2018 PlayStation Plus free games? 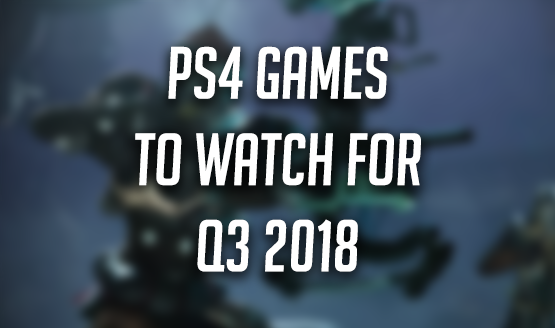 Which free PlayStation 4 game will you be playing first? Are you happy or disappointed with the list? Let us know what you think about all of the PlayStation Plus bonuses in the comment section below! Don’t miss the weekly PlayStation Store sales, which include a large number of Plus double discounts this week.